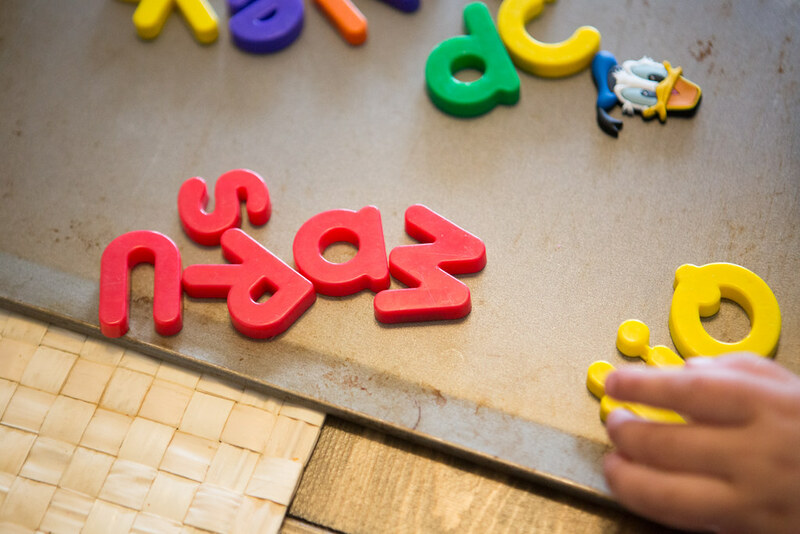 Are you looking for activities for your kids that are incredibly simple with very little parental involvement needed? 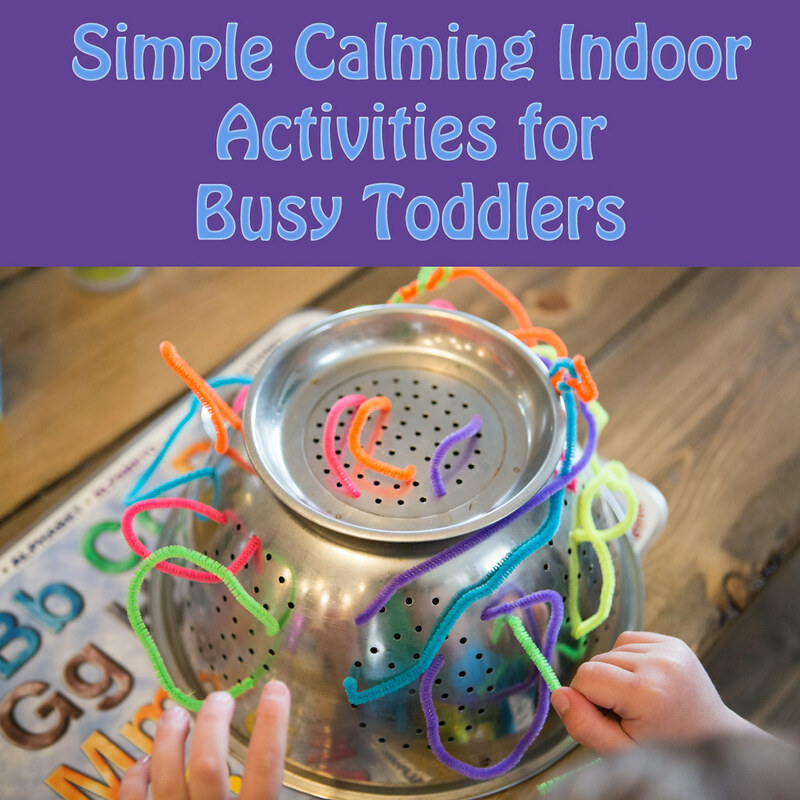 I have two toddlers that have a lot of energy and short attention spans as well as a preschooler that is able to sit calmly and enjoy a good craft. 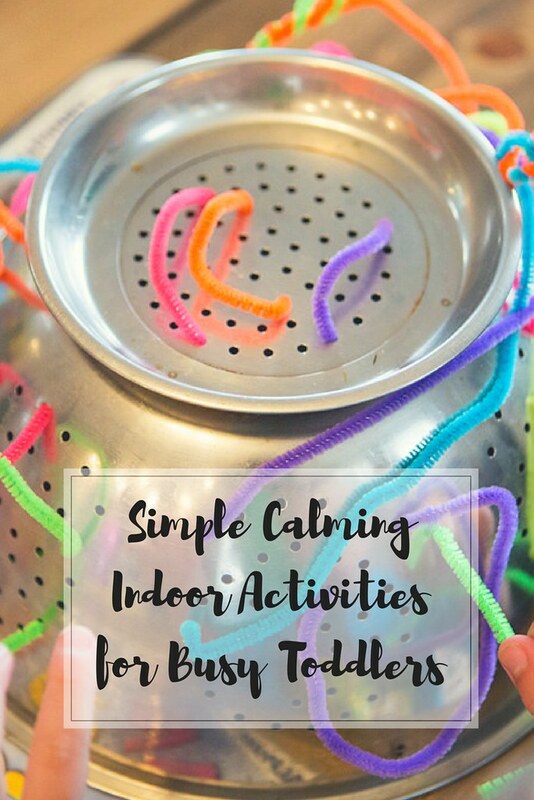 We were stuck indoors on a rainy day and needed some quiet and calm activities as one of the kids wasn't feeling well (and tends to get out of control quite easily). 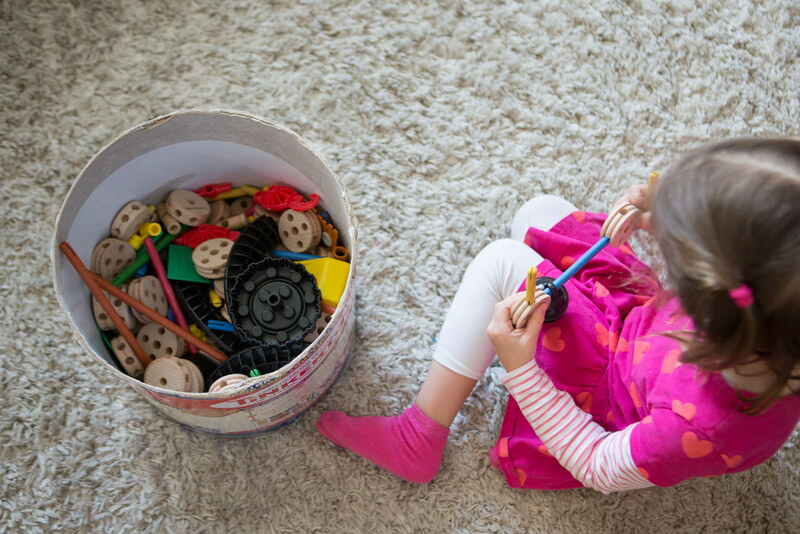 Another priority was independent play as sometimes the fewer interactions between kids, the better. In order to participate in the activities at the table your Little Ones will need to be able to sit somewhat still. If yours are anything like some of mine, help is needed. 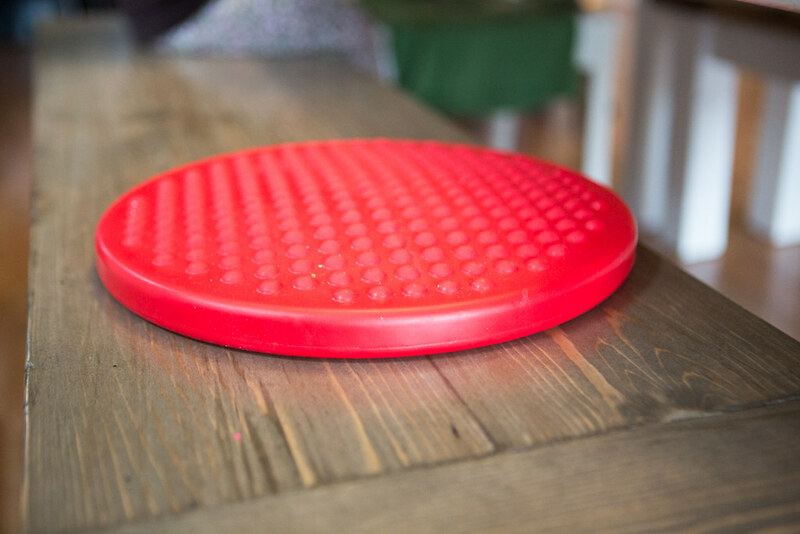 One great way to help with calming is having a special cushion to sit on and we use a Wiggle Cushion and a Gel Seat in our home. 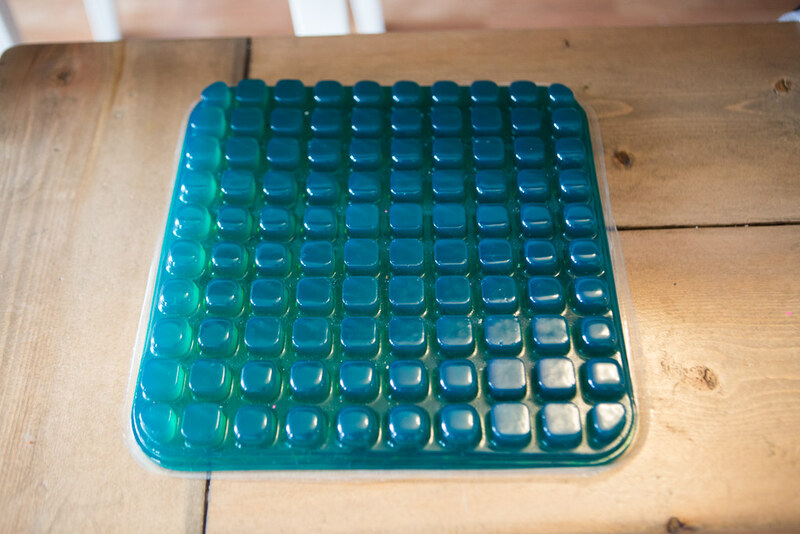 These seats are great for helping kids to focus especially if they are seeking a sensory input. 1. 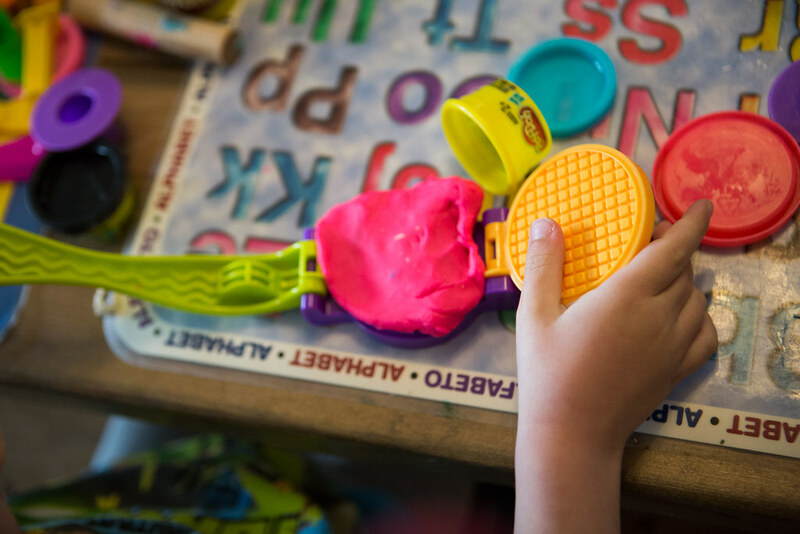 Playdough. I only give each kid one colour at a time because once they're mixed no one wants to play with it anymore. We have one kit, an ice cream parlour, and it keeps them busy for about 20-30 minutes. 2. Magnets on a cookie sheet. We don't have very fun magnets so one kid just grouped colours together and then Nya practiced spelling her name and sounding out words. 3. 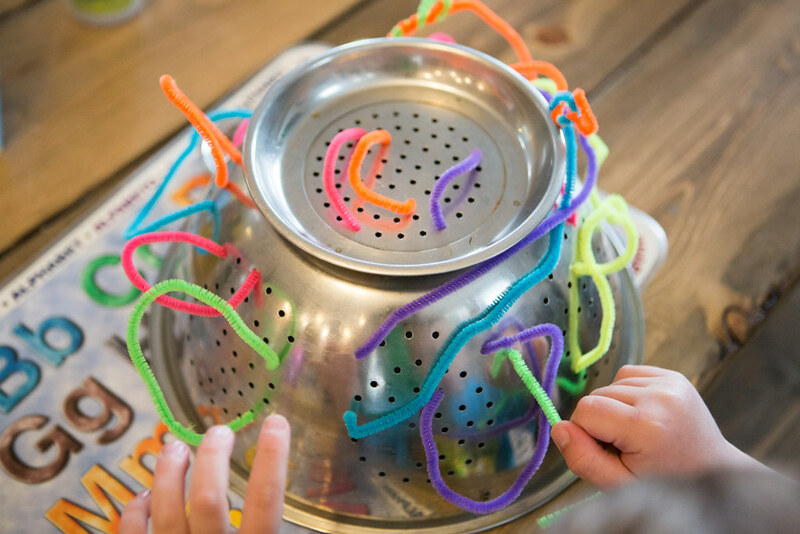 Pipe cleaners in a colander. This is great for working on fine motor skills and all three kids enjoyed this one. It didn't keep them busy for very long but they each had a turn. 4. Make a giant poster. 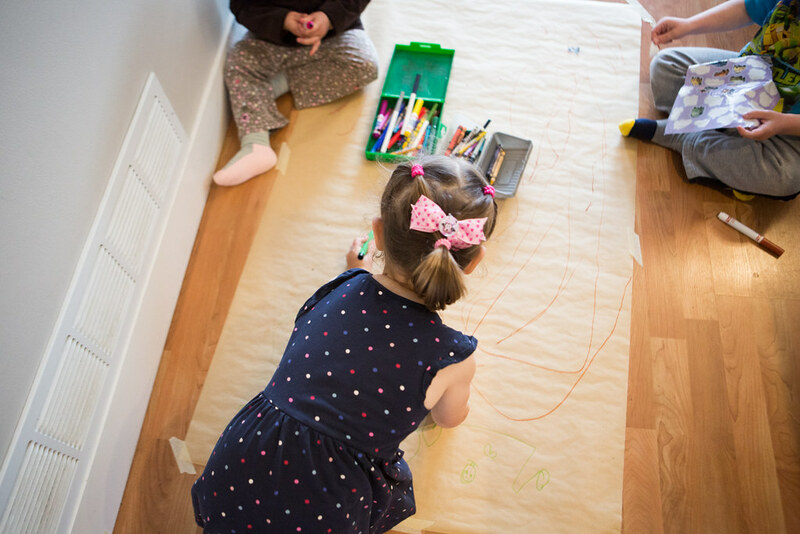 I had this roll of kraft paper and told them we would make a giant welcome sign for daddy/uncle when he came home from work. I stationed them far enough away from each other and then they went to town with markers and stickers. The next day we just flipped it over and drew a car track. 5. Play with a box. Yes. Nothing fancy. Each child got a box and they put their "special" items in it, sat inside and decorated them. The energy levels did increase once they started pushing each other in their "cars" but overall I was surprised how a simple box kept them busy! 6. Build with Tinker Toys or Mega Blocks. This bin occupied them multiple times throughout the day and I loved seeing how different each of their designs were. Nya is not into Lego but she really enjoyed this. Somehow these pieces were never used as weapons...phew. If you are looking for something a little more high energy there is marble racing, car tracks, dance parties, and fort building. In our case we wanted calm and independent and it worked well. Bath time could be another but with three kids wanting one it tends not to be on the calming side of things. What are some of your favourite indoor calming activites?